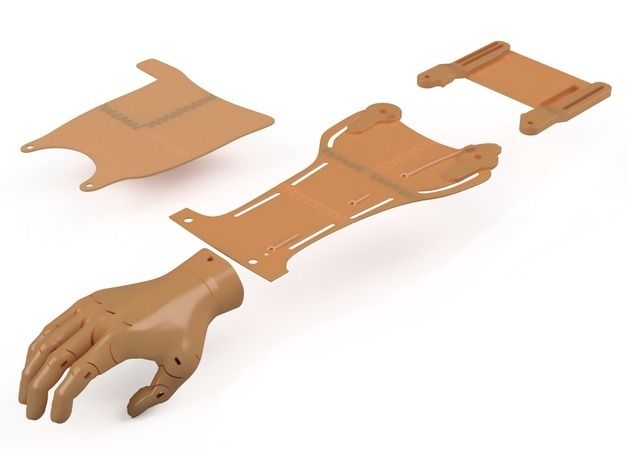 Elbow-Powered Devices — Form5 Prosthetics Inc.
Elbow-Powered Devices operate by residual elbow movement which opens/closes the fingers on the hand. Recipients needing any of the following devices’ must have some if not full elbow movement in their residual limb. 'The RIT Arm' by e-NABLE was originally designed by e-NABLE members at Rochester Institute of Technology and later re-designed by Nick Norris. 'The Unlimbited Arm' by Team Unlimbited was designed by Drew Murray and Stephen Davies. 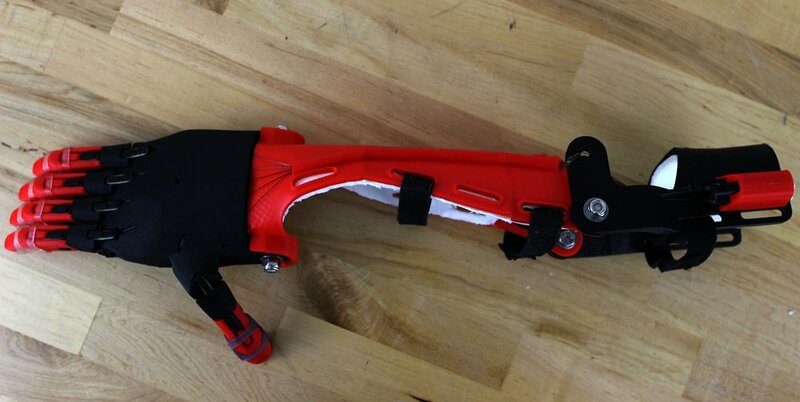 Team Unlimbited is a charitable organization that is a collaboration between Murray and Davies who design, build, fit, and deliver 3-D printed hands and arms for free primarily in the United Kingdom. Interested in 3-D printing this device? Click 'Learn More' to download the opens-source designs.